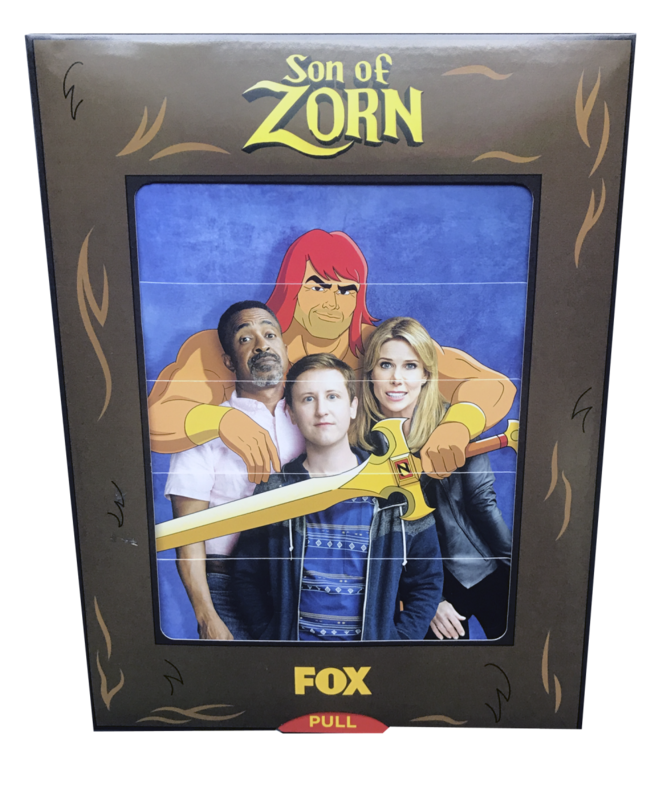 Fox was about to launch Son of Zorn, a highly original show about a warrior who returns to California from the South Pacific to reunite with his family. The twist: most of the show’s characters are live action, but he’s an animated character. 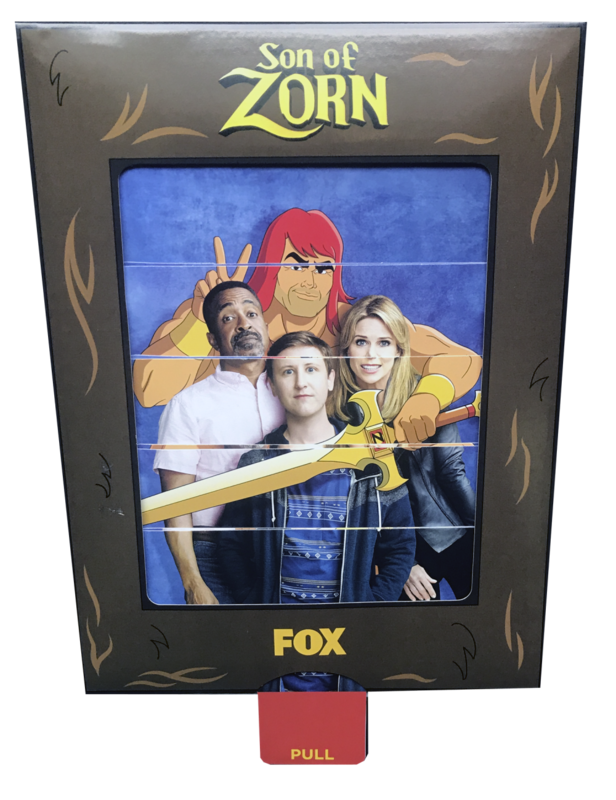 So the challenge for Fox was how to introduce the show to members of the media in a way that grabbed attention and also matched the show’s freshness and levity? Simple. A paper engineered picture changer using Americhip’s proprietary design. With just a pull of the tab, the classic family “portrait” in a frame transitions to an almost identical shot, but this version shows Zorn acting like a big teenager as he holds his fingers in rabbit ears behind the head of his former wife’s new fiancé. The interactivity of the piece encourages continued engagement, and with a simple pull of the tab, the message is made clear: this quirky show is light-hearted and fun.